There's still time to participate in Color Challenge 80! Remember, you don't have to have the EXACT colors to play - just use colors inspired by the ones you see below. This challenge features Lemon Chiffon, Ripe Raspberry, Summer Splash and Gumdrop Green. 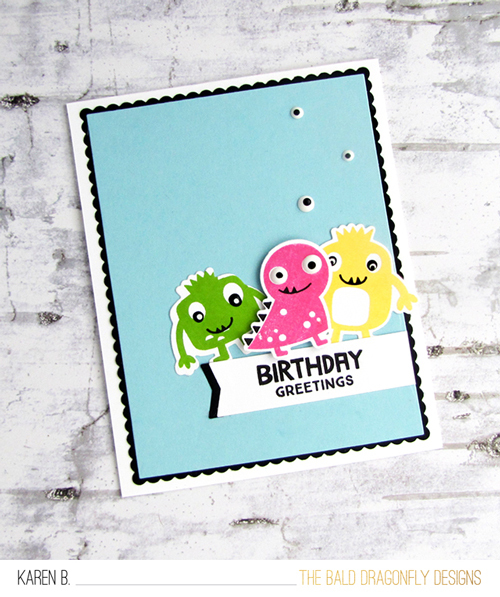 Karen created fun colorful monsters with this week's color palette and added the 4th color for her background. We love how the black and white accents she added really make the colors pop on her card. 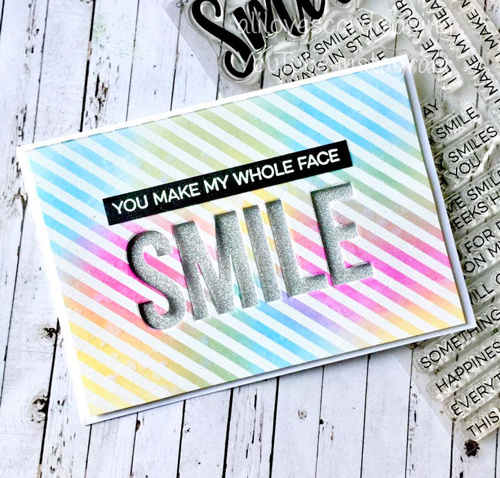 Ali created a beautiful striped background on her card that incorporates all of the colors this week. Her sparkling sentiment tucked under her background panel is the perfect complement to her design. Be sure to give Color Challenge 80 a go yourself - there's still plenty of time to play along and we always love to see all of the ways you're inspired by the challenge!